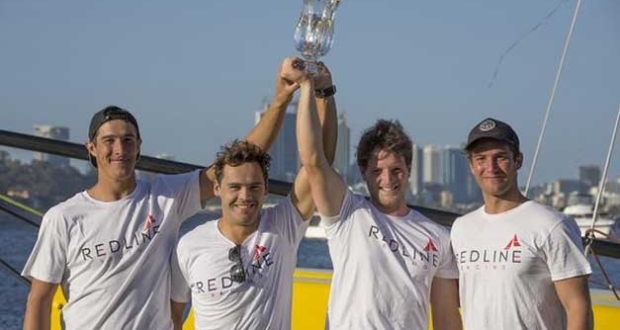 For local Perth skipper Matt Jerwood and his Redline Racing Team, the M32 Australian Series event was always about getting time in the boat, and learning, they did this supremely well, winning 14 of 16 races sailed. 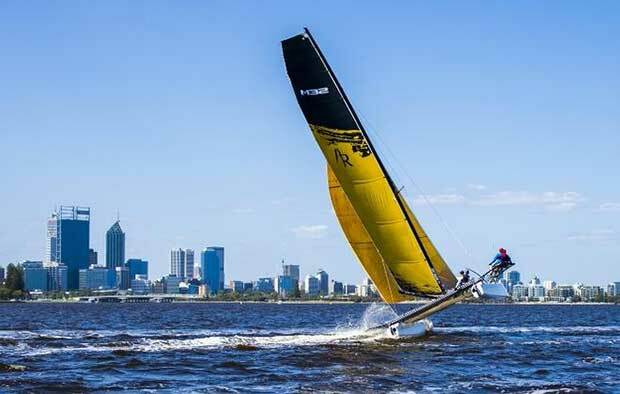 The team now have a few days off before the World Match Racing Tour’s Match Cup Australia, starting on Monday (20th March), being hosted by Royal Freshwater Bay Yacht Club, a little further down the Swan River from this event. Second in this event was the Sydney based Team Australia skippered by Sean Langman, who came good on the last day to climb from fourth place after day 1, having got to grips with the M32 during the regatta. The regatta was hosted by Mounts Bay Sailing Club, situated on the Swan River’s Matilda Bay, and is the first time an M32 Series fleet racing event has been held in Australia. It was very much an opportunity for aspiring and curious sailors to try the M32 in a competitive situation, and there were plenty of smiling faces at the end of the day.